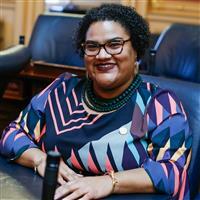 NEWPORT NEWS, VA – In honor of Teacher Appreciation Week, Del. Marcia “Cia” Price (95th District) hosted the 2018 Amazing Math Teachers Awards, the second year of the contest. 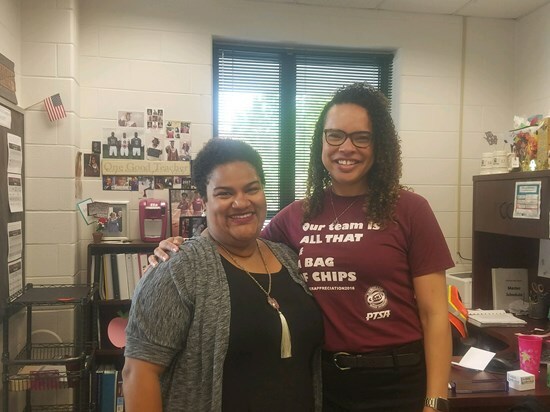 It was kicked off on Pi Day (March 14th), as other teachers, students, and parents were asked to submit names of their favorite teachers. 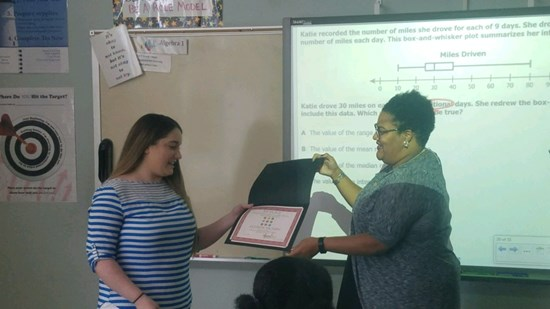 The contest was open for any math teachers that teach students mostly from the 95th District or at schools located in the district. The awards were based on the number of submissions but also the quality of the answers to four questions about the teacher’s impact on the students’ lives. On Wednesday, Del. 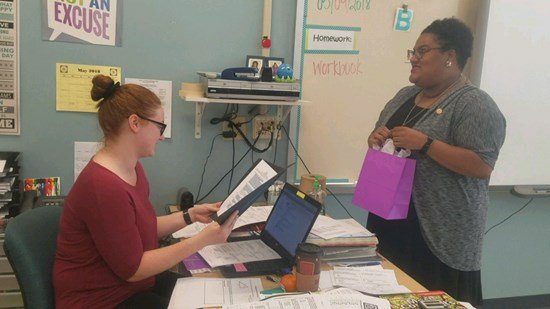 Price delivered surprise prizes to the award winners to express appreciation for the teachers’ hard work and dedication and to reassure the teachers of the difference they were making in the lives of others. 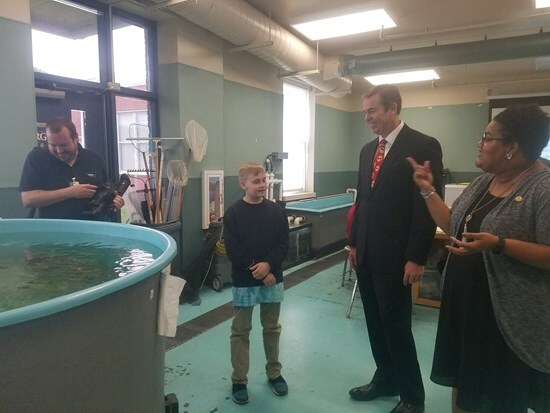 Each of the entries received detailed how the above teachers are an inspiration to their students, the creative ways that they continue to make sure the students grasp the concepts, and how their compassion extends outside of the classroom. “Remembering back, all of my teachers poured into me. More specifically, as it pertained to problem-solving and tenacity, my math teachers had a huge impact on my educational journey. The skills I learned helped me in college and now as an elected official. These skills are important for our growing students to learn. The awards are meant to highlight the hard work math teachers do in preparing our youth for successful lives and careers,” said Price. 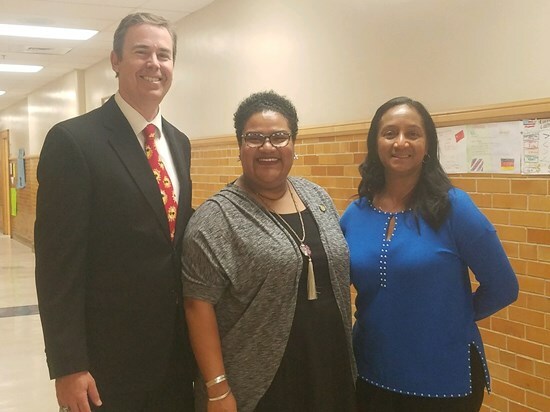 At Booker T. Washington Middle School, Principal Dr. Sean Callendar and Assistant Principal Dr. Arva Davidson helped deliver the surprises to Ms. McNew and Ms. Burdette. 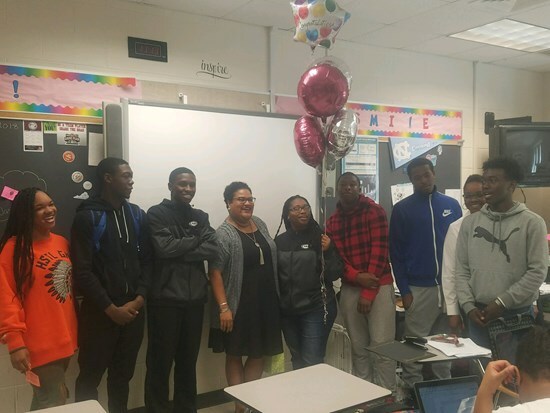 At Heritage High School, Principal Shameka Gerald, a few teachers, and students that submitted entries helped deliver the news to Ms. Horton.